Google Maps is an incredible resource for virtual sightseeing, but it’s also home to some quirky and mysterious finds, from shipwrecked boats to a Photoshopped Irish prison. 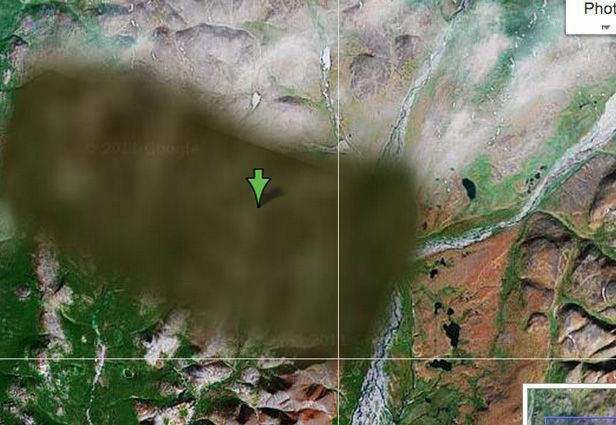 For example, much of North Korea is not visible on Google Maps, aside from the city of Pyongyang. Zooming in to North Korea — a nation known for its Internet censorship — will most likely get you an up-close look at rocky terrain, even in heavily populated areas. In addition to a collection of mysterious crop circles, Google Maps also highlights out some man-made ones, such as the Firefox crop circle in Oregon. This was created by the Oregon State University Linux Users group in 2006 to mark the popular web browser’s 50 millionth download. Among the list of things that will have you scratching your head is a specific location in Russia that has been blurred out. Since the closest city is Egvekinot, Russia, which is a neighbor to Alaska across the Bering Strait, it’s unclear what could be hiding in the middle of the Siberian tundra. Check out the gallery below. This natural formation in Alberta, Canada is known as the Badlands Guardian and looks strikingly similar to a native American wearing a headdress. If you look close enough, it looks like he’s wearing a pair of earphones, but that section is actually a man-made road and oil well. 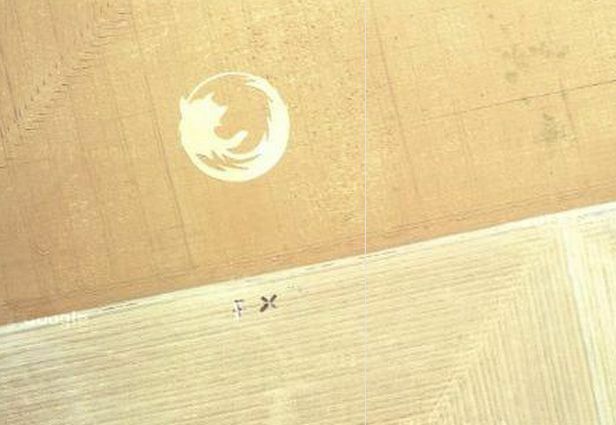 The Firefox crop circle in Oregon was created by the Oregon State University Linux Users group in 2006 to mark the web browser’s 50 millionth download. 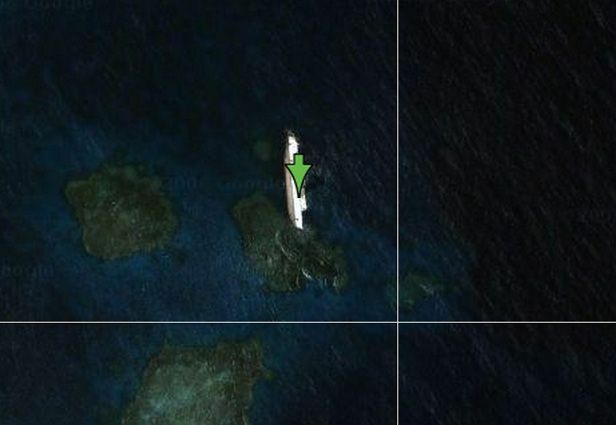 This shipwreck in the Red Sea is captured on Google Maps. The Portlaoise Maximum Security Prison in Portlaoise, County Laois in Ireland looks like it’s been Photoshopped. Although we’re not sure why, an uncited entry on Wikipedia states that an old satellite picture of the facility from 2005 has been edited over a new picture of the area for security reasons. 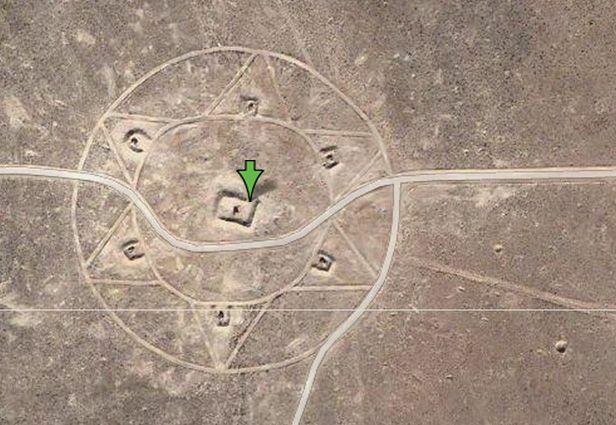 This mysterious crop circle is located near the Tonopah Test Range in Nevada, also known as Area 52. The area is owned by the United States Department of Energy and is a restricted military installation. 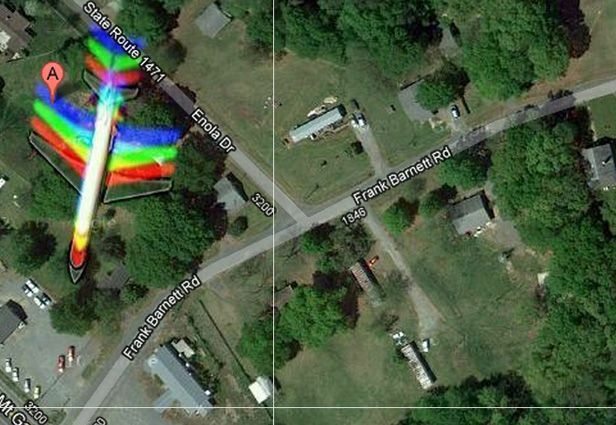 This plane flying above Rock Hill, S.C. evokes a rainbow of colors as it soars through the air. 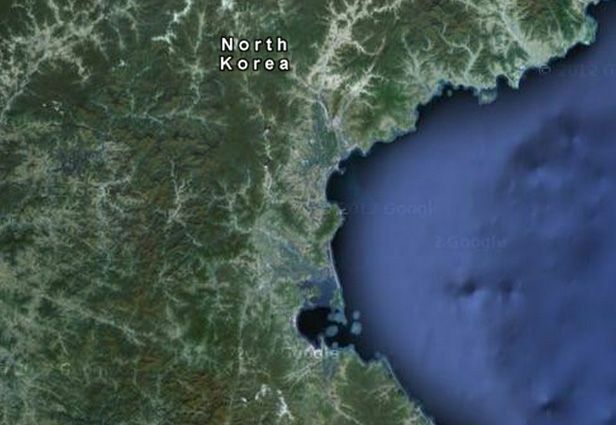 Aside from the city of Pyongyang, much of North Korea is not visible on Google Maps. Zooming in to North Korea — a nation known for its Internet censorship — will most likely get you an up-close look at rocky terrain. This street capture in Glendora, Calif. has a peculiar message over one part of the area when you zoom in a bit too much. Some theorists on the Internet believe a UFO was edited out here, according to GoogleSightseeing.com. To see what we mean, click on the link above and zoom in. This structure looks like a UFO landed on top of the Inkpot building in the Netherlands, but it’s actually supposed to look that way. The UFO statue was added as a part of a previously held exhibition and was never removed. 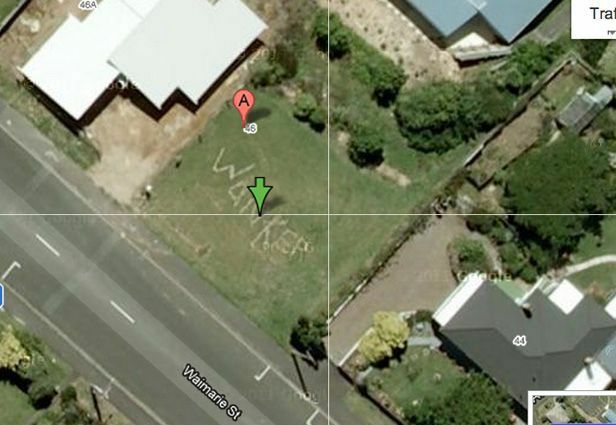 Google Maps captured this image — not a crop circle — over the lawn of a home in suburban town of Nawton, in the Hamilton region of New Zealand.